Seth Godin is without a doubt my most anticipated blog to read each day. Today was a great article from Seth about how he is wanting to be the first person to launch a application for the new (much anticipated) Apple Tablet. Even though, as of right now, we don’t even know if there is going to be an Apple Tablet. “I want to be the very first author to announce a new project for Apple’s tablet. So Seth apparently wants to get his book Unleashing the Ideavirus onto the tablet in true Vook form. 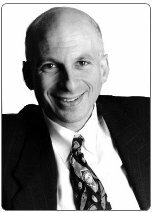 And if I had to guess, from what I know and have read about Seth Godin, he will probably make it happen easily!